Horse-drawn tramways: 1862 - 1903. Steam tramways: 1877 - 1902. Electric tramways: 1894 - today. LRT (RER): 1994 - today. 1862 - 1902 :1435 mm. 1889 - today: 1000 mm. (mainline rail track): 1435 mm. Boegl, W., Dietschy, M., Kallmann, R., Lacreuse, J.-M., Longet, R. & Rahm, E. Le tram à Genève: histoire imagée de la Compagnie Genevoise des Tramways Electriques et de ses précurseurs. Genève: Ed. de Tricorne, 1976. Choisy, M.E.G. "Modernization in Geneva" (translation), The Modern Tramway, Nov. 1950 (13:155), p.237-241. Eames, N.A. "The Swiss vicinal - Part 2: Trams in Genève - 1968", Modern Tramway & Light Railway Review, Apr. 1969 (32:376), p.133-135. Eisenbahnatlas Schweiz / Railatlas Suisse. Köln (Germany): Schweers + Wall, 2004. 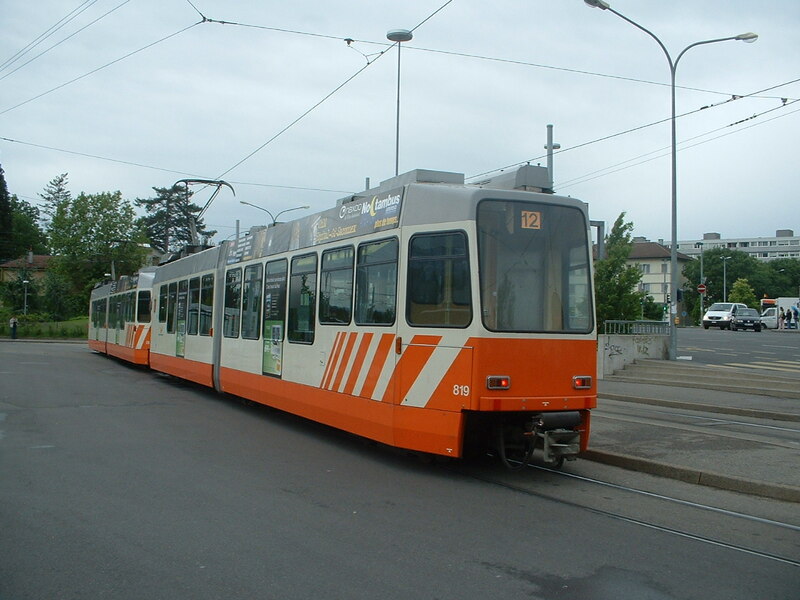 Kellett, N. "Genève: Where to go, and what you'll see", Tramways & Urban Transit, Sept. 2004 (67:801), p.336-338. Primatesta, A. Les tramways genevois - L'histoire continue demain. Genève: Mythraz, 2005. 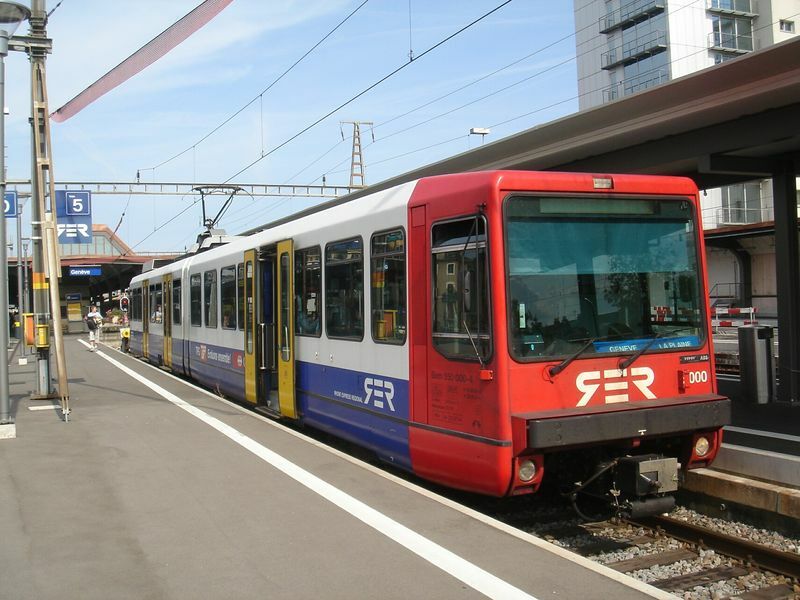 Pulling, N. "Systems Factfile No.102: Geneva, Switzerland", Tramways & Urban Transit, March 2016 (79 :939), p.104-108. Wansbeek, C.J. "Geneva: The city that puts quality first", Light Rail & Modern Tramway, July 1997 (60:715), p.250-252. Wansbeek, C.J. "Geneva: Ten years of solid expansion", Tramways and Urban Transit, Aug. 2002 (65:776), p.297-299. Wansbeek, C.J. 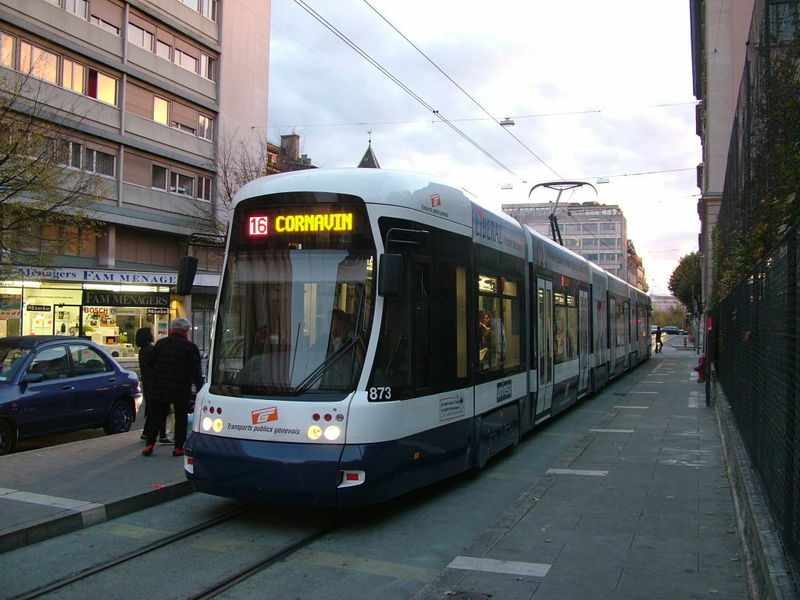 "Geneva: International tramway? ", Tramways and Urban Transit, Dec. 2007 (70:840), p.458-461. Wiseman, R.J.S. & Wyse, W.J. "The Swiss vicinal [Part 1]", Modern Tramway & Light Railway Review, Feb. 1969 (32:374), p.53-59.